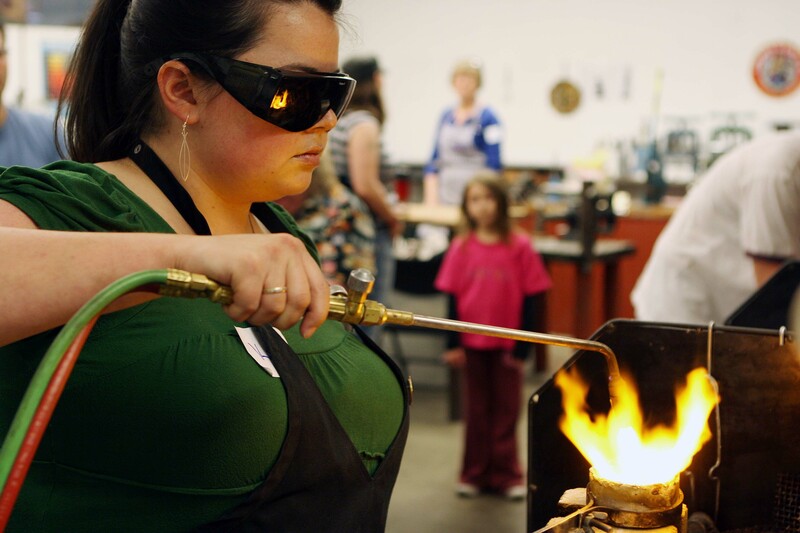 The Crucible invites everyone to bring the family to the industrial art school’s upcoming Spring Open House: The Science of Art, an exploration into the scientific principles behind the fine and industrial arts processes taught at the school. The free event will be held on April 7th from 12 to 4 pm. 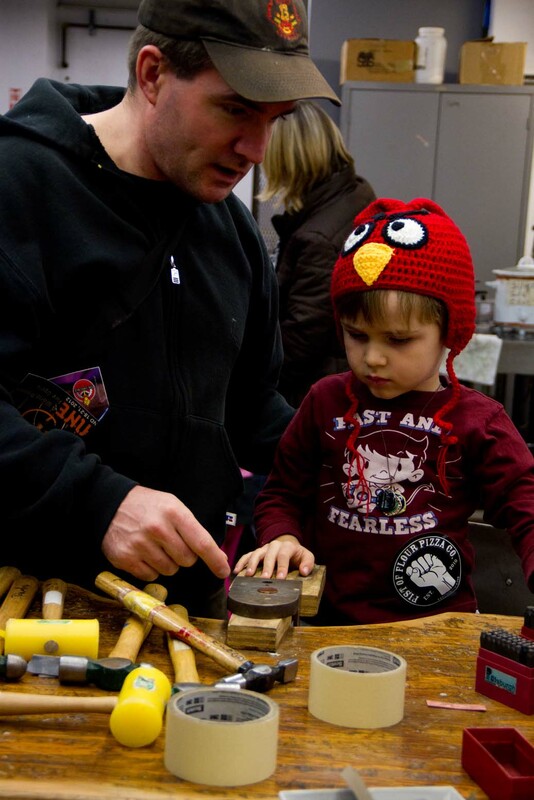 The Crucible is hosting a family-friendly spring open house on Sunday, April 7 from 12 to 4 pm. While furnaces roar and sparks fly, Crucible guests will journey into the belly of the 56,000-square-foot Bay Area art school and deconstruct works of art down to their original media to discover the scientific processes the artists used to make them. "We have an amazing space that is always bustling with creativity and curious minds,” said Jonaya Leek, Programs Associate. “People often don’t realize that science is happening here all of the time! This open house is an incredible way to learn and reflect on the science of the arts that are taught here every day." The Crucible faculty and students, plus guest students, artists and scientists from the community—including friends from Berkeley Space Sciences Laboratory, Tech Shop and Chabot Space & Science Center—will exhibit their work and conduct live demonstrations. Ron Hipschman, Exploratorium staff physicist, will speak and demonstrate the many ways color is created in everything from neon signs to oil slicks to rainbows. A sample of the demonstrations planned at The Crucible includes: Science of Fire, Venturi Effect, Ruben’s Tube, Harmonograph, Die-Moto Biodiesel Motorcycle, Mysteries of Steel Made Visible, Raku Firing, Bicycle Physics and Molten Metal Pour. "I study the way crabs capture and use smells by building models of their hairy ‘noses’ with pulled glass,” said Lindsay Waldrop, Exhibitor and UC Berkeley Graduate Student. “When I started studying a different species of crab, one that lives on land, I realized that pulling glass wouldn't be enough. I turned to The Crucible's glass flame-working studio for help to create my model and finish my experiments. 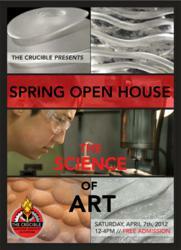 Please stop by the Open House to learn more about sniffing crabs and how The Crucible helped me create art for science!" The Crucible Bike Shop will showcase a selection of quality used bicycles that have been fully rebuilt by youth and volunteer mechanics, which guests can test ride. Purchases of these sweet, reliable rides support The Crucible’s Youth Earn-A-Bike Program, Youth Mechanic Program, and Community Bike Fixathons. During The Science of Art open house, guests can vote on their top three favorite pieces in the curated Hall of Exhibits. The artists with the most votes will receive free Crucible class tuitions. Open House guests can also enter to win free tuition for a Crucible class. New students who sign up for a spring class during The Science of Art open house will receive 20% off class tuition, and Crucible members will receive a 25% discount. In addition to the demonstrations and exhibit, The Science of Art will host a live performance by Oakland-based ensemble Gamelan X, a handmade art sale and a bicycle sale. Discounts on Crucible classes will be available, and tasty eats and drinks will be available in the courtyard. Gamelan-X combines complex interlocking rhythms and sinewy melodies into a visceral groove experience that excites and entrances listeners. Drawing musical inspiration from Indonesian traditions, Gamelan-X balances the fiery intensity of Beleganjur music with its unique organic style. Armed with an array of cast and forged bronze instruments, some of which were made at The Crucible, Gamelan-X takes to the streets as a marching band filling the city with the energy of Balinese music. To learn more about The Science of Art open house event at The Crucible, call (510) 250-3687 or visit http://www.TheCrucible.org. The Crucible is an educational facility that offers the Bay Area art classes in the fine and industrial arts to people at all skill levels. The facility is popular for original and exciting Bay Area team building events and Bay Area kids’ activities. Started in 1999 in an empty 6,000-square-foot warehouse in Berkeley, The Crucible has now grown to a 56,000-square-foot facility in West Oakland. 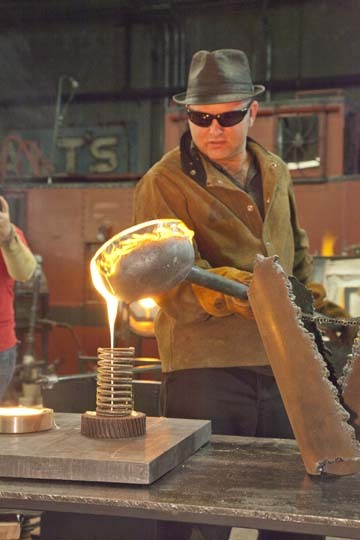 The Crucible’s offerings, range from glass blowing to blacksmithing to jewelry classes to fire performance, and are available in a number of formats, from three-hour tasters to ten-week programs. Class tuition varies in price by course and duration, including tuition, studio fees, materials, tool access and safety training. There are no shopping lists for supplies or hidden costs.